Hi surfers! Please keep the Franklin family in you prayers. Donate here if you can to help them. 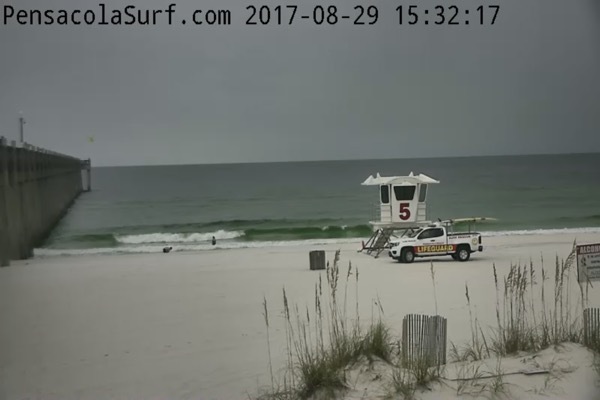 There are some small waves in the knee high range right now at Pensacola Beach. 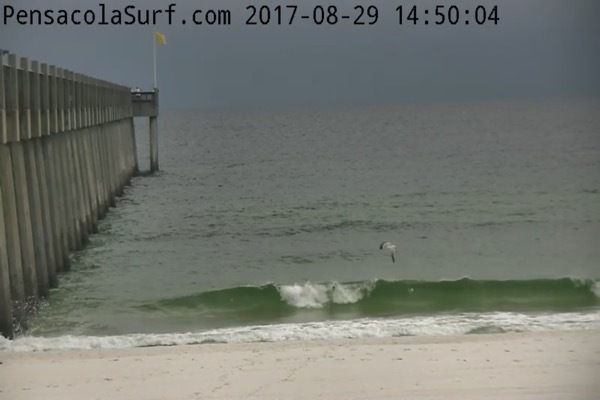 Wind is light out of the East Northeast currently causing for clean conditions. 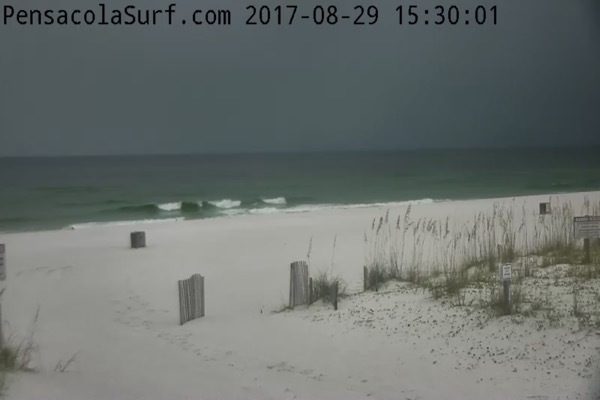 There is more rain with lightning heading this way, so be safe if you venture out. Thanks for checking the Report!